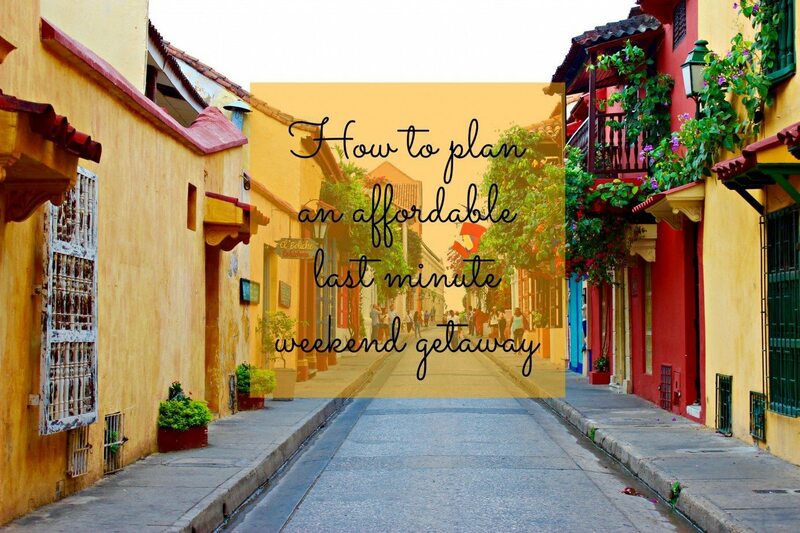 How To Plan An Affordable Last Minute Weekend Getaway! ·First, pick a weekend you can go! If you are flexible, try and have a few weekends available. Flight costs can vary from weekend to weekend. Check Skyscanner.com to see what the cheapest flight is and to where! I personally love using airbnb.com for any city. You can find amazing cheap houses/flats/rooms. Make sure to check the reviews and location before booking. If you’re only there a weekend you want something within walking distance to all of the sites. If you’re wanting a more plush hotel stay, try looking on tablethotels.com. Sometimes when it’s last minute you can find amazing hotels for super cheap! I always love getting an idea of the place I’m about to go whether it’s international or just an hour away. Try hash-tagging the city on Instagram. It gives you a good feel for what other travelers are doing. Also, try typing the destination in on Pinterest and afar.com. When you do this you can find all kinds of great ideas of places you will want to check out, and a lot of times the places everyone recommends are free! I like to have a few things planned but my favorite is to just explore on my own when I’m there. You never know what you will find or who you will meet! I always personally like to just wing it and ask the locals when I get there. But, if you want to have an idea of how much lunch/dinner will cost, find a restaurant and look at the menu prices. My favorite for looking up restaurants is MichelinGuide.com. Not all of the restaurants on there are expensive and every restaurant I’ve ever used off of there has been amazing. Try out street food at the local market. You can get amazing food for cheap at markets. Don’t stress out about seeing everything. If you’re only there for a weekend it’s inevitable you won’t see everything and that’s ok. Have your priorities of things you’re wanting to see and do and if you do more than that list then that’s great! Eat, drink, and be merry… you’re on vacation!